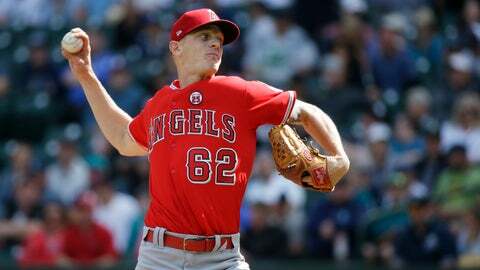 NEW YORK (AP) — Right-hander Parker Bridwell was claimed off waivers from the Los Angeles Angels by the New York Yankees, who opened a roster spot by designating infielder Ronald Torreyes for assignment. The 26-year-old Torreyes was among the most popular players in the Yankees clubhouse, a 5-foot-8 backup often hoisted into the air by teammates to high-five 6-foot-7 Aaron Judge. Torreyes hit .292 with 36 RBIs in 315 at-bats over 108 games in 2017, but spent much of this year at Triple-A Scranton/Wilkes-Barre and batted .280 with seven RBIs in 100 at-bats over 41 games for the Yankees. New York announced the moves on Monday.